The Occupational Therapists in the Hand Centre at CORE specialize in treating patients with conditions affecting the hands and upper extremity. The therapist’s high level of specialization requires continuing education and advanced certification. 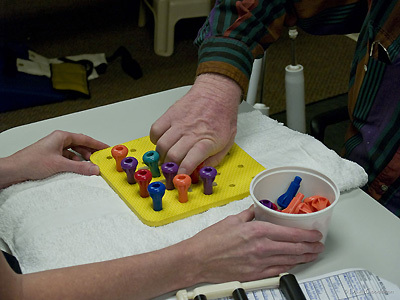 Treatment programs offered in the Hand Centre at CORE include both preventative and conservative programs as well as rehabilitation programs following surgery. Conditioning prior to returning the work.